The Broadway season is defined for most by the Tony Awards eligibility dates. The awards also determine which New York theatres are considered to be on Broadway, by the productions they stage being eligible. Currently, 41 theatres make up Broadway. In the season that concluded last night, 33 new shows opened in Broadway houses. But while Broadway is usually spoken of in commercial terms, it’s worth noting that 10 of those shows were produced by the subsidised companies resident at Broadway venues. That’s 30% of this year’s total output. The presence of subsidised companies on Broadway is not exactly new. The Vivian Beaumont Theater at Lincoln Center, some 20 blocks north of the theatre district, has been a Broadway house for decades. It was joined by the Roundabout Theatre Company when it began producing in the now defunct Criterion Center in the 1990s; since then, Roundabout has secured three Broadway houses: the American Airlines (in bygone days, the Selwyn), the Stephen Sondheim and Studio 54. Manhattan Theatre Club, whose plays had been transferring to Broadway since 1978’s Ain’t Misbehavin’, rehabilitated the Biltmore – now known as the Samuel J Friedman – reopening it in 2003. This spring, Second Stage reopened the Helen Hayes Theatre after an 18 month renovation, lopping off the legendary actor’s first name in the process. Commercial Broadway fare is a mix of old and new, musical and dramatic, and the same is true for the work of the subsidised companies. This year, those four companies were responsible for the first Broadway run of the 1990 play Marvin’s Room, the musical retrospective Prince of Broadway, JB Priestley’s Time and the Conways, Ayad Akhtar’s Junk, the Royal Court production of Lucy Kirkwood’s The Children, John Lithgow’s Stories by Heart, the first Broadway run of Kenneth Lonergan’s Lobby Hero from 2001, Bartlett’s Sher’s My Fair Lady revival, the transfer of the Menier Chocolate Factory’s Travesties revival, and a new production of Saint Joan, its first Broadway outing in 25 years. Many factors are responsible for this high percentage of Broadway shows from subsidised companies, but chief among them is the relative lack of availability of many Broadway houses right now due to long-running, successful tenants, ranging from The Lion King to Hamilton to Waitress and more. But the other factor is that these companies, for the most part, are producing seasons of shows, with multiple productions in each theatre every year. Of course they are their own landlords, so they determine their own theatre availability. Over the years, when Lincoln Center Theater has had big hits (sometimes in collaboration with commercial partners) that have run for a year or more in the Beaumont – be it War Horse, Anything Goes, or South Pacific – they have often rented commercial Broadway houses to ensure their audiences still get to see new, large-scale work as part of their seasons. Is it possible that if these theatres were in commercial hands they might be filled as well? Yes, it’s quite likely. 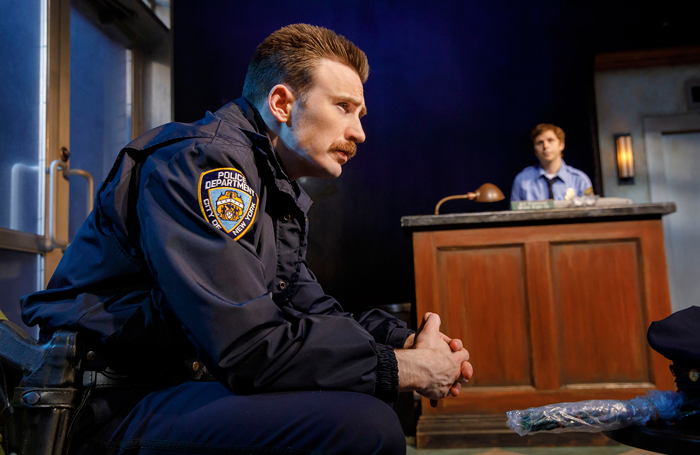 In fact, two of Roundabout’s three Broadway houses are occupied by commercial productions, under the aegis of other producers: the revival of Children of a Lesser God and the long-running Beautiful. But would those venues exist without Roundabout, which restored the precursor of the Sondheim, the Henry Miller Theatre, with its production of Cabaret; rescued the long-dormant Selwyn, and reopened Studio 54 after years of disuse? That’s a bigger question. The same is true for Manhattan Theatre Club’s revival of the Biltmore, which had been dark for 16 years. We don’t often see shows produced by these not-for-profits making it into the weekly lists of high-grossing shows, partly because the theatres are among Broadway’s more intimate houses, but more importantly because they offer deep discounts to patrons who subscribe or buy passes for an entire season. That may keep their earning from ticket sales lower than many shows, but they balance that revenue with contributed income, and in doing so make Broadway a bit more affordable. It’s worth noting that these companies aren’t producing solely on Broadway – all of them have at least one Off-Broadway space, and some have more than that. They’re producing on multiple scales, creating a variety of opportunities for work to get seen and for audiences to access it. In the dark days of the 1980s, it may have seemed that the best route for the health of Broadway might have been a wider shift to not-for-profit status. That’s certainly not the case today. But as the season just ended has shown, subsidised companies have a vital place among their commercial companions, and make very significant contributions to the breadth and variety of the work designated as being on Broadway. 59E59 Theatres in New York continues its Brits Off-Broadway Festival under new artistic director Val Day, and also continues the festival’s longstanding relationship with the Stephen Joseph Theatre. Alan Ayckbourn’s A Brief History of Women, first seen in Scarborough last summer, makes its US debut on Wednesday. In a plug for a good friend and a former theatrical home, I want to make note of Goodspeed Musicals’ production of The Will Rogers Follies, with David M Lutken returning to the title role he first played on Broadway back in the early 1990s. Don Stephenson directs the revival, in rural East Haddam, Connecticut, which opens Wednesday.